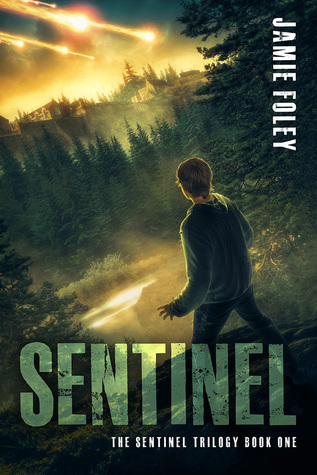 I'll start with Sentinel, since it was released first (plus I read it first). Darien and his sister, Tera, are caught in a meteor storm and find refuge at a mysterious academy where the students are rumored to have special abilities. Soon Darien finds himself as a reluctant student at the academy, but his interest increases as he discovers the various powers that can be unleashed using aether, an internal energy the academy students are learning to wield. But Darien's powers end up being needed far sooner than he expected when the academy is targeted by enemies seeking to harvest its secrets. There were so many aspects of this book I loved. The characters are all complex, with faults, humor, and vulnerabilities. The idea of aether is so fascinating, and I really enjoyed learning about it with Darien over the course of the book. Plus it had a great mix of action, world-building, character development, and romance reminiscent of the Harry Potter series. Foley's writing is vivid and relatable, and she keeps the reader guessing throughout! 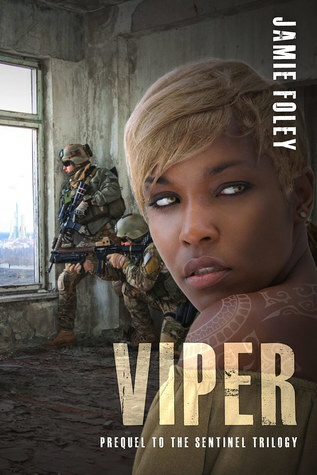 Viper is a novella prequel to Sentinel. After getting hints of the history between Jet and Sorvashti during the second half of Sentinel, I couldn't wait to read this prequel, and it didn't disappoint! Jet is taking on his first assignment as a sniper, complete with hazing from his military unit and the desire to prove himself. Sorvashti is kidnapped from her art school and taken to a bizarre "home" akin to a harem. When Jet's unit rescues her, he and Sorvashti must sort out their feelings for each other as they try to track down her kidnapper and a traitor in their midst. Jet and Sorvashti are both well-rounded, fun characters that I enjoyed getting to know. I loved the way Foley handled language and culture differences, and the way that their shared knowledge of aether helped them communicate and overcome their enemies. The romance was subtle and sweet, and the action made it a page-turner - I think I finished in a few days (it's shorter as a novella, of course, but still!). So in conclusion, I would highly recommend these books and can't wait to read the rest of the series! What do you think? Do they sound of interest to you, or have you read Sentinel already? Alternatively, how are you spending (or did you spend) your Thanksgiving?